Every medicine needs a certain time frame to bring about any change in your body. In the same way, every medicine stays in your system for a certain period of time. Some of them may leave your system in a few hours or in a day or two. The time a medicine takes to leave your body depends upon a number of factors which may expedite or impede its excretion from your body. Prednisone is a famous drug when it comes to treatment of medical conditions like arthritis, breathing problems, skin diseases, severe allergies, and immune system disorders. Your doctor might prescribe it for a number of other issues with a combination of an additional salt. Common side effects of this medicine include vomiting, nausea, loss of appetite, insomnia, and rashes. Remember to consult your doctor if any of these side effects persist or get worse. It is important to understand that the time taken for the drug to leave your circulatory system does not mean that you will get over the aftereffects of the medicine at the same time. In this article, we will discuss the time Prednisone (prednisolone) stays in your body after you have stopped consuming it. We will also highlight the factors that impact the time taken by Prednisone to leave your body and how can you make sure that it is excreted from your body without any delays. In order to define the time taken for any medicine to leave your body, it is essential to clear the concept of half-life. Half-life is the time required by 50% of the drug to leave your body. After going through a lot of health journals and researches associated with Prednisone, we have arrived at the conclusion that theoretically; the half-life is Prednisone is around 2-3 hours in normal adults. Relying on the theoretical data, Prednisone will leave your system in 12-18 hours completely. Documented data, however, is not always correct, both Prednisone and Prednisolone (the metabolic form of Prednisone) may take up to 24 hours to leave your system completely. Aged people and children may exhibit differences in the time required for Prednisone to leave their system. A lot of people are of the view that once Prednisone is out of their system, the side effects are also out of their system. This view is not correct. Medications like Prednisone impact human anatomy in many ways and the side effects continue to haunt you for a longer period of time. Dosage – The quantity you take is directly proportional to the time needed by the medicine to leave your system. Someone taking higher doses of Prednisone will have a higher quantity of its metabolites in the body after half-life time. People who have liver or kidney problems and are taking a high dose of Prednisone dose are prone to drug accumulation in their system. Age – Age is a major factor when it comes to determining the time a medicine takes to leave your body. 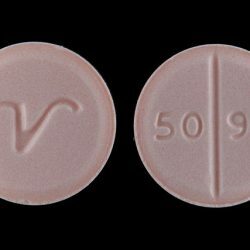 For people over the age of 65, a longer period of time is needed for Prednisone to leave their body because of the slow working of the organs that help in excreting the Prednisone. In the same way, children exhibit a slow clearance speed for Prednisone because it has an average half-life of 3-4 hours in children as compared to the normal half-life of 2-3 hours in healthy adults (below 65). Liver and kidney function – Liver and kidneys are the two most vital organs in your body, impacting almost every function of the body and ensure timely excretion of the drugs. Researches have shown that people having liver and kidney problems take a longer time to get free of Prednisone in their blood. Tests have revealed that people with weak liver can take up to 3-4 days to get Prednisone free. Build of your body – Body composition directly affects the time taken by Prednisone to leave the body. Tests conducted on people with different body height and weight have proved that Prednisone take less time to excrete in individuals with high body mass as compared to people with less body mass. Metabolic Rate – Metabolic rate directly impacts the time a medicine takes to leave your body. If you have a high metabolic rate you will discharge Prednisone from your system faster as compared to people with a slow metabolic rate. pH of the Urine –pH of your urine directly impacts the excretion time of Prednisone. Alkaline pH of urine allows re-absorption of substances like Prednisone whereas acidic composition facilitates its discharge through urine. Prescription Time – Accumulation of Prednisone in your system depends upon the time you have been prescribed the drug. It is very likely that it will be deposited in your system in a large quantity if you have been taking it for a longer period of time. Hence, the time needed to excrete it from your system will be more. Frequently taking Prednisone will develop a constant quantity of its metabolites in your body. On the contrary, if you take it for a short time, you will not reach the peak level of accumulation. Other Medication – If you are taking other medications along with Prednisone, then you might witness extended time to discharge it from your system. Women taking oral contraceptive pills have to bear Prednisone in their circulation for a longer period of time. If you want to make sure that Prednisone leaves your system as early as possible, there are some ways you can facilitate this process. Make sure that you discontinue this medicine under observation of your doctor. You can also acidify your urine by having drinks that are slightly acidic in nature or simply staying hydrated. Staying hydrated increases the number of times you urinate in a day. The clearance time of Prednisone may vary from one person to another depending upon the factors explained above. However, it will leave your system within 16-24 hours . It is usually excreted from your body through urine, sweat, and breast milk for lactating mothers. Try to follow the instructions of your health practitioners, so you can treat the problem first for which the medicine is prescribed and then move towards excretion of its after effects. Now I know why I was so angry. I am not taking that again. I was given prednisone to comabt an allergic hive reaction to an antibiotic. Turns out I was also allergic to prednisone but the doctors kept refusing to believe that was the case and one even prescribed an increased dose of prednisone. That was a disaster and ended up me being in the hospital for the hives. While not proof beyond doubt, the rebound of hives soon after taking prednisone on two occasions is convincing to me at this time. I am an 80 year old male that thought was in good health. the blood supply to my right eye was blocked for a short while and I went blind in that eye. I was sent to a rhumatologist and he said I large cell arteritis of the right temporal artery. I am being prescribed 40 mg 0f predisone daily. I am a type 2 diabetic and my blood glucose has risen to over 200 constantly. My kidney functions are going down, which is worse the cure or the artertis or becoming a type one diabetic and going on dialysis or having a few head aches. I wish I knew the answer. I feel good but am afraid to eat, do not sleep good and just overall afraid. I know I want off prenisone. But what side effects and how quickly. my doctor says it will take p to 7 or 8 months. Harold, I’m 66 male with GCA first on left temploral and now on right also. In November after suffering 3 weeks fever, double vision, blind spots and severe headache they diagnosed GCA and put me on 80 MG Prednisone and it drove away the fever and headache. The treatment gave me hyperness, irratability, some shakes and a feeling of pressure in my head. I’m down to 20 MG now but also started a new med called Actemra by infusion once per month. It is working well and Dr. accelerated my taper off Prednisone. Check it out, maybe it could help you too. I started taking 50mg for 1 week then 40 for a week then 30 then 20 then10 now I took myself off of them, the side effects are awful. I am on high dose prednisone at least once a year and at least for two weeks. During that time I am irritated, frustrated, unable to sleep, headache,uncontrollable sadness and tears. I am 66 yrs old with COPD. After my last dose, the side effects linger for about two weeks. I usually lock myself in the house, warn my dog, and that way I can keep my friends!! It clears up my lungs pretty quickly, so all in all, I’ve determined it’s worth it. Prednisone was given to my German Shepherd. She was allergic to it and is suffering with a severe case of Cutenosis Cutis. This drug is BAD news. I’m a 51 year old female. I was given Prednisone 60mg for 3 days and 40 mg for the following 3 days. On the second day I was already feeling sick but c9ntinued anyways. On day 4 I threw up and had terrible headaches. My skin was over sensitive and I kept scratching everywhere. Just my hair touching my neck gives me hives. I suffer from light empty nose syndrome after an operation 2 years ago and it made it so much worse. My nose and throat dry. I called my doctor and he told me to stop taking it immediately. That was 2 days ago and I still have the symptoms. I’m hoping that in 2 days they will have completely disappeared. the doctors got to the bottom of my problem and just gave me this instead of doing further treatment. I have been sick since November and it almost February. I have fibromyalgia and hives , my eyes are swollen and beet red along with itching. I am usually a hyper person and I can’t get out of bed right now .. Extremely Frustrated..
From observing and talking to patients I believe many are sensitive or allergic to the medication. That sounds like the case for those commenting on this forum. The worst things for me have been decreased bone density and a voracious appetite. I’ve adopted a low carb lifestyle to combat weight gain and training with weights (not strenuous) for bone health. Good luck to all in this journey of life which unfortunately involves sickness! I saw my primary physician for severe chest congestion and coughing. He prescribed a steroid packet of 6 then 5 then 4, and so on. He also prescribed an antibiotic. I followed this prescription regimen for 6 days. I did get some relief, but after the steroid ran out, I began to redevelop symptoms of bronchitis. I got worse with each day. After 5 days, I saw the same doctor again. This time, he doubled up on the steroids. 6 in the morning, 5 at night. Next day, 5 in the morning, 4 at night, and so on. Slowly, began to improve. But, the side effects started to materialize. Stiffness in my lower legs. Insomnia, and lethargy. My sweat smells horrible, and my skin is breaking out worse than it ever did when I was a teen. I’m 64, and I don’t think I am going to take this medicine at this dose ever again. It has been more than a month and I still have side effects. I did get over the bronchitis, but I still cough. Can’t understand why steroid is still in my system. Stopped taking it 18 days ago. Never again ! There has to be a differant medicine ,than this awefull prednisone ,to help you .if i had the money ,i WOULD SUE THE COMPANY FOR A TRILLIAN DOLLARS ,To put people through this turmoil every day .i was thinking of ,committing suaside ,But that woundn t ,stop the agany THAT I AM GOING THROUGH . I have been on 5mg of Pred. 4 tabs for 4 days, then 3 tabs for 4 days, etc. I am tired of taking this. I went in to the doctor a week ago. I was told I had/have pneumonia. I was put on a 6-day antibiotic, which is now gone, but am still on Pred. I’m tired of the diarrhea and the exhausted feeling. I’ve been off work for 2 weeks. Am suppose to go back this Monday. I’m still fatigued. Is it safe to just stop taking it? No, you have to taper off ask doctor how. Have been on prednisone for nearly 2and a half years after developing p.m.r.my blood pressure shot up slowly over this time and I had a cough and sneezing at least 4 times daily plus heart palpitations which scared the life out of me I have now come of this drug and now take tumeric for my muscle pain try it ..It helps with a range of problems. My blood pressure is back to normal and no more heart problems and my cough is almost gone.I have only been on tumeric tablets for two weeks and feel so much better. I read these comments on prednisone…I can say my experience has been great. I have gout which is very painful. i been battling since i was 35 years old. Now 53. I get flare ups once a year. I follow all the precautions of diet…but it is hereditary. the only relief i get is prednisone. all other meds do not work. i take as follows 50 mg every 12 hours for 3 days then 40 every 12 hrs for 3 then 30 every 12 hrs for 3 then 20 every 12 hrs for 3…then the final last 2 doses at 10 mg DONE ! Hope this helps anyone with gout or arthritic conditions. If you have kidney or liver issues you may want to dig deeper on doses. I have been on and off prednisone 4pmg daily for the past two months. I was given it to treat an extremely painful skin condition. I had no side effects at all while on it and felt pretty good. I suffer with skin pain which feels like i am wrapped in prickles and thorns. The steroids are the only thing that decrease the pain. Im off them at the moment as I had to have them out of my system. For a skin biopsy now all my symptom.s have come back. Can’t wait to go back on them. Not everyone has a bad reaction to steroids. I am also asthmatic. I am certain this drug has saved my life on two separate occasions. WOW…I’m Having ALOT Of These Symptoms, Also! Take 150mg over two weeks for eczema which flares up two or 3 times a year. Taper of gradually. No noticeable side effect but was in low mood for a couple of days. Clears the eczema but it come back after 3 or 4 months. It’s a great relief from the itch though. I am 64. I have taken 6 of 7 doses of 60 mg prednisone for pleurisy. I cannot sleep. 2-4 hours out of 24, for 6 days so far. I cry, laugh, and rant all day. I’m angry, sad, happy, changing minute by minute. I can’t stop eating. I had food going in my mouth all day today, over 3 times what I normally eat. Never again. It’s 3 am and I’ve been up for 21 hours already, but I’m not at all sleepy. I hate this! I’m 66 and in otherwise good health. The sad thing is, the pain from the pleurisy has only been cut in half, and it’s still bothering me. Tomorrow is my last day on prednisone and it hasn’t worked very well. I have no idea what the next step wiill be, but it will NOT be more prednisone!! Went to Dr last week with bursitis in both hips. Could hardly walk. Dr prescribed a prednisolone tapering pack. Also Volteran gel to rub on hips. Started feeling better after 2nd day, now after a week I am pain free. This drug works great for me and will take it again.